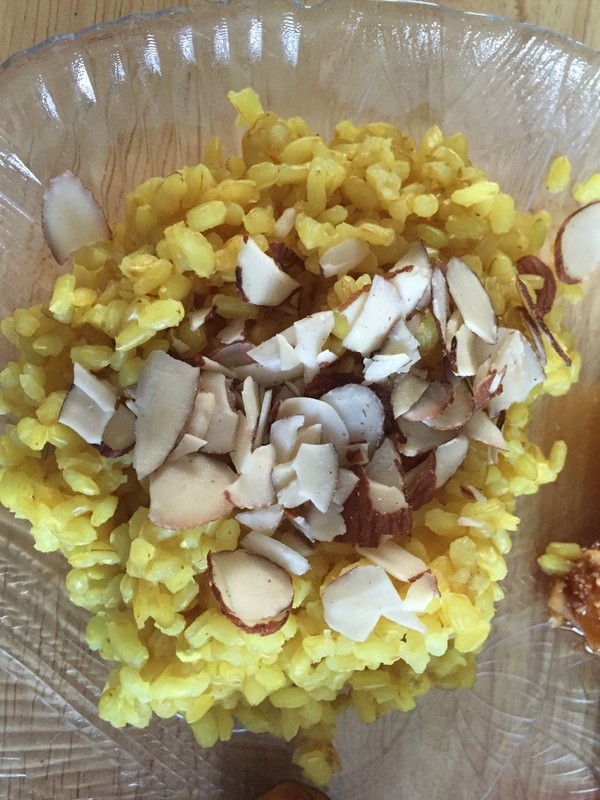 I love to serve this beautiful yellow rice with Thai food, and it makes a great lunch with the leftovers. In a saucepan or rice cooker, add all ingredients except almonds. Stir to combine. Cover and cook 45 minutes, or until rice is done. Top with almonds and serve.